In the past month, I’ve espoused many beliefs of what 2017 will bring – deeming it to likely be a year of money printing and draconian government actions. In fact, following an historic year of political, economic, and monetary change, the best possible description for what I anticipate in the next 12 months, is “monetary revolution.” Which, in turn, may catalyze the most dramatic status quo changes of our lifetimes, for anyone born in the post-War era. Never before has the world faced a man-made calamity of such enormity; partly because of policy – particularly the monetary type; but predominantly, procreation – as let’s face it, there is no way to economically manage 7.4 billion people, without the scourges of socialism, fascism, and communism forcing their way into the fold. I mean, when the gold standard was abandoned in 1971, the global population was just 3.5 billion, so we have more than doubled the population in less than five decades. In the early stages of this era, the combination of unfettered money printing and population growth led to an explosion of economic activity, accompanied by fabulous “paper wealth.” Unfortunately, once “peak” debt and demographics were exceeded – not un-coincidentally, around the time of the historic 2000 and 2008 financial crashes – overpopulation became a major global issue; in my view, as much a contributing factor to the dramatic political changes sweeping the planet as anything else. To that end, I’ve written countless articles warning of such – most recently, in November); and frankly, when it comes to demographics, even “wrong-way Harry” Dent is dead on. My first such article, 2012’s “demographic hell,” warned of what will likely consume Japan; and here we are five years later, with the “Land of the Setting Sun’s” economy stagnating amidst history’s highest-ever debt/GDP ratio; and a wholly discredited Central bank completely out of options, now that interest rates have been taken negative; QE, “QQE”, and “QQE plus yield curve control” have all miserably failed; and the Bank of Japan has actually become the dying nation’s largest stockholder. Adding insult to injury, we learned last week that not only did Japan post its tenth straight annual population decline in 2016, but the number of births fell to its lowest level in…drum roll please…117 years! In other words, with an average age of 47 (second only to Monaco’s 52), Japan is rapidly turning into a massively over-indebted retirement colony, with neither a hope nor a prayer of avoiding what I have long-predicted; i.e., it will be the first “first world” nation to experience 21st Century hyperinflation. And given that 2016 did in fact see the emergence of several actual hyperinflations – in Venezuela, and shortly Zimbabwe – it won’t be long before Japan’s fallacious, kamikaze monetary policy starts to “work,” destroying what’s left of the Yen’s purchasing power no matter how many terrified investors cover their Yen shorts – as the multi-decade, world-economy-destroying “Yen carry trade” is unwound. Moreover, as discussed in 2014’s “deadly dollar demographics,” the U.S. is not immune from this burgeoning financial disaster – as evidenced by the fact that in 2016, not only did the U.S. population grow at its lowest rate since the 1930s, but the number of millennial-age children living with their parents hit a new 75-year high. As one would unequivocally assume if real inflation, GDP, and employment numbers were published – like the highest-ever cost of living; the highest percentage of the population dependent on government entitlements (financed by freshly-printed money); the lowest-ever real economic growth; the lowest-ever Labor Participation rate; and multi-decade lows in home ownership and real wages. Not to mention the highest-ever debt; the lowest-ever housing affordability; and the most-ever industrial oversupply – all, related directly to the deadly combination of a fiat currency regime and Keynesian fiscal and monetary policy. Which, due to the former’s definition as a Ponzi scheme, must grow exponentially to survive – until it collapses due to a loss of confidence, or its own sheer weight. To that end, the moronic “Trump-flation” meme – which even if it were possible to be enacted, would ultimately make things worse – is on its last legs, before he has even been inaugurated. For one, the manufacturing jobs lost over the past three decades are NEVER coming back, no matter how many trade deals he negotiates – as American will NEVER be cost competitive with the world’s other seven billion people. Moreover, Obamacare can NEVER be repealed – as now that the Socialist Genie is out of the bottle, it can NEVER be put back in. Let alone, attempting a massive fiscal stimulus, focused on non-revenue generating construction projects like roads, bridges, the military, and a wall across the Mexican border. As even if it was politically viable, which it isn’t, March’s debt ceiling debates will make it dead on arrival before negotiations even start. Let alone, if he want to finance it with tax cuts, given how the real U.S. budget deficit was $1.4 trillion last year alone; and subsequently, would rise by a dramatically larger amount if such a plan was launched. Let alone, if the Fed is dumb enough to attempt to raise interest rates further, given how much economic damage the recent surge in interest rates, and the dollar, has caused. And lest anyone actually believes the economy will somehow “grow out of it,” such fantasy is based on nothing but hope – particularly in light of the massive healthcare cost increases the entire nation will have to cope with. Plus, if the “oil PPT” is able to actually cause oil prices to rise, increased gasoline and heating oil prices, too. Not to mention, the massive, government-mandated minimum wage hikes that go into effect this week; and oh yeah, surging interest expenses – care of the past two months’ interest rate surge, which was catalyzed by a combination of desperate Central banks (like China) selling Treasuries, and the “bond vigilantes” finally re-awakening. And then there’s the rapidly devolving political, economic, and monetary situations in the world’s two most populous countries, China and India – both of which, are ripe for dramatic, decidedly negative changes. In India’s case, the most insane Presidential decree of the 21st century has in a matter of weeks, sent India back to somewhere between the second and third world – plunging it into recession, and guaranteeing the already record-low value of the Rupee will decline further. Frankly, there’s no way of guessing how bad things will get – but I assure you, it will decidedly NOT be positive for global financial markets, or negative for Precious Metals. And as for China, it may be the world’s largest economy, but it’s also the largest holder of bad debt; with the most industrial overcapacity; and a massive capital outflow problem that will only accelerate as the global economy weakens. Let alone, if the dollar continues to strengthen, forcing China to expand capital controls further – which in turn, will fuel further capital outflows, as evidenced by the record low price of the “offshore” Yuan – currently, mere basis points from falling below the key psychological level of 7.0/dollar. Which, when it inevitably occurs, will unleash a veritable tsunami of Yuan outflows, and inflows to safe haven assets like gold, silver, and Bitcoin. In fact, perhaps the best article I’ve read on the “fork in the road” China has reached – in which all choices are painful, was this one yesterday by Raul Ilargi Meijer of the Automatic Earth Blog, one of the best alternative media writers I have come across. In it, he discusses how China must either dramatically devalue the Yuan – as I predicted 17 months ago; or dramatically increase capital controls to prevent it – which ultimately, will be an equally deleterious decision. BTW, China’s decision last week to reduce the dollar’s weight in its trade-weighted currency basket was as desperate of an attempt as I can imagine to try and fool people into believing the Yuan isn’t sinking like the Titanic – which I assure you, won’t buy a Yuan above 7.0/dollar for more than a few fleeting weeks at best. Yes, revolution is in the air – politically, socially, and monetarily; and it WILL NOT STOP until those who have led the world to the edge of financial ruin are replaced. Not to mention, the cancerous fiat currency regime they have used as a weapon to milk the world’s “99%” of their wealth. And nowhere more so than in the emerging war between dying fiat currency and expanding crypto-currencies – principally, Bitcoin. Frankly, I believe 2017 will be the year that governments start to consider Bitcoin, not gold, to be the biggest threat to the dying monetary status quo – which is why I wrote last week’s MUST READ article, “why Bitcoin will cause gold and silver to go up.” In which, I espoused my strong belief that governments – in Don Quixote-like fashion, flailing at windmills – will spend less time worrying about suppressing Precious Metal prices, and more time futilely attempting to suppress Bitcoin. Which, in light of the already historic tightness of the physical gold and silver markets, may well prove the catalyst for finally setting their manipulated prices free. In other words, in the world I envision – as first discussed in May’s “Bitcoin and Precious Metals, twin destroyers of the fiat regime” – it will be Bitcoin (and potentially, other crypto-currencies) that will be the dominant forms of day-to-day, transactional money, whilst gold and silver will be used principally for storage of value (as will Bitcoin, in my view). To that end, I have personally made some changes to my investment portfolio to reflect this change in my world view, which I’m happy to share with you. Which, I might add, are not by any means an investment recommendation, but simply a disclosure of what I am personally doing. Some may think these are “radical” changes for a “gold bug” like myself. However, I have never thought of myself as a “gold bug” (heck, I wrote “is gold money? Who cares!” nearly three years ago). Instead, I am a monetary realist, who knows the value of Precious Metals must inevitably rise, due to a combination of global monetary destruction, extreme physical market tightness, and unsustainable market manipulation. To that end, I long ago realized a future “gold standard” is not possible – as after the current fiat regime completes the collapse it is amidst right now, I believe no government will ever be trusted to issue and/or manage a currency again. Let alone, one based on trust that governments own the gold they claim to have – like the U.S. Treasury’s mythical 8,134 tonnes, which haven’t been audited in 70 years. In other words, now that I believe Bitcoin to be the future of transactional money – albeit, a future which may take some time to unfold, with many bumps along the way – it now occupies a very significant percentage of my portfolio. 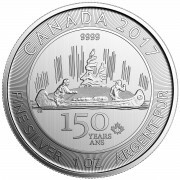 However, rest assured, physical Precious Metals still represent roughly three-quarters of my liquid net assets – the majority of which, is held via Miles Franklin’s segregated storage program at Brink’s Montreal; and its new, state-of-the-art Private Safe Deposit Box program at Brink’s Toronto. 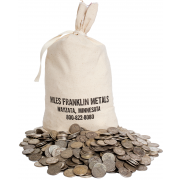 Additionally, I have sold all of my junk silver and fractional gold coins in lieu of additional one-ounce coins, given my new-found belief that they are unlikely to ever be used transactionally – other than under the worst-case scenario of a “Mad Max” economic and social collapse. 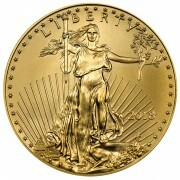 In the case of junk silver, it will unquestionably appreciate with the price of physical silver. However, given its heavy weight, and inability to be weighed for specific silver content, I don’t consider it as “barter-able” as I once did, now that Bitcoin – which can be divided infinitely, and transported seamlessly – has emerged. To that end, I never truly believed fractional gold coins would ever be used transactionally, as even the smallest denominations cost more than most items; and similarly, cannot be divided as specifically, and infinitely, as Bitcoin. Actually, trading fractional gold coins for one-ounce rounds is, in my view, a fantastic opportunity to upgrade your portfolio, given that fractionals sell for significant premiums to one-ounce bullion coins at the current time. To that end, if you are interested in making such a swap, please give Miles Franklin a call at 800-822-8080, and one of our brokers will help you. Before I go, I want to note a few other reasons why I believe Precious Metals – per the title of last week’s article, may well have, as was the case a year ago, ”bottomed in late December,” ahead of what may well be a “year of monetary revolution” in 2017. For one, a whopping 20% of the entire COMEX registered silver inventory was withdrawn Thursday – taking the total down to a miniscule 28 million ounces, worth a measly $450 million. Secondly, physical premiums continue to be sky high in Asia – of up to $2/oz for Chinese silver. Thirdly, I was approached, unsolicited, by four separate people in my soccer community over the past two weeks – having heard what I do, and worried about the global monetary situation. This, compared to a total of two, in perhaps the previous five-plus years. And last but not least, this incredible chart, showing how the “gold sentiment index” – amidst perhaps the most bullish set of Precious Metal fundamentals imaginable – just hit a 29-year low; i.e., its lowest level since the index’s creation in 1987! Hopefully this (relatively long) article gives you some food for thought, as we depart one of the most politically, economically, and monetarily tumultuous years in decades – and head into what may well be a “year of monetary revolution.” Which is exactly what I expect, and am personally preparing for. 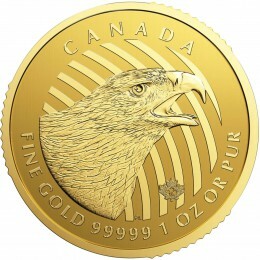 Andy – A few months ago you were in favor of the one oz low mintage Canadian silver coins vs Silver Eagles and rounds. Have you changed that view. Bitcoin is an interesting subject which I have more to study about. But to me if bitcoin can be divided infinitely, that to me is the same as printing dollars to infinitey. You can end up with nanobitcoins everywhere. Reverse splitting them? Would that not be like deflation?